The centrality of ham in Spanish cuisine becomes obvious when you look at the great variety of producers scattered throughout the Iberian Peninsula. 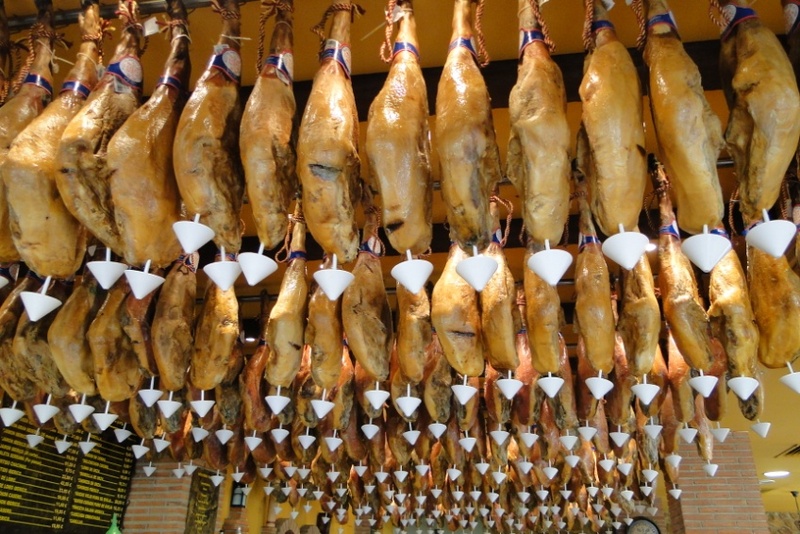 Indeed, one could say that there are many types of Serrano ham as there are regions and towns in Spain. Obviously there are hams and hams: the less and the more and more expensive, some more juicy than others. 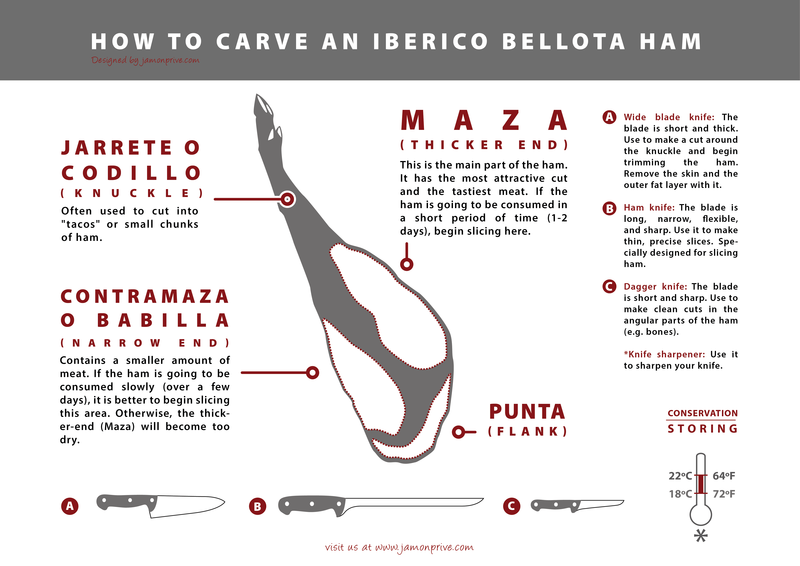 Let's review the different parameters used to classify Serrano hams. First of all, though, it should be stressed that Serrano ham refers only hams made from Ibérico pigs, usually Duroc, Landrace and / or Large White, although some may have been crossed with an Ibérico pig. This is definitely the main distinctive feature compared to Iberico hams. The production area is one element that gives the most prestigious Serrano hams their cachet, and the truth is that we associate certain geographical areas with quality. The key to this identification is, on the one hand, the extensive experience of local producers, who can implement the knowledge passed from generation to generation, and, on the other, a mountain climate suitable for drying helps ensure success . For this reason, traditional producers of Serrano ham are covered by the certification of Protected Geographical Indication (PGI), which includes all the national territory and regulates all the necessary parameters to ensure quality (fat thickness, minimum weights for slaughter, production processes, etc.). - Trévelez Serrano Ham: This occurs in several localities of the Alpujarra, including Trévelez. It is one of the most famous types of Serrano ham. Cereals are the staple food of these pigs, following the guidelines established by the IGP. These Spanish hams are characterized by their rounded shape and typically weigh between 7 and 9 kg. The meat has a deep red color and in tasting, the dominant notes are sweet due to low salt content. - Teruel Serrano Ham: A total classic. Not for nothing was this the first Spanish ham to receive the Designation of Origin label in Spain. These hams are produced in the province of Teruel, in any zone that is over 800 meters above sea level. 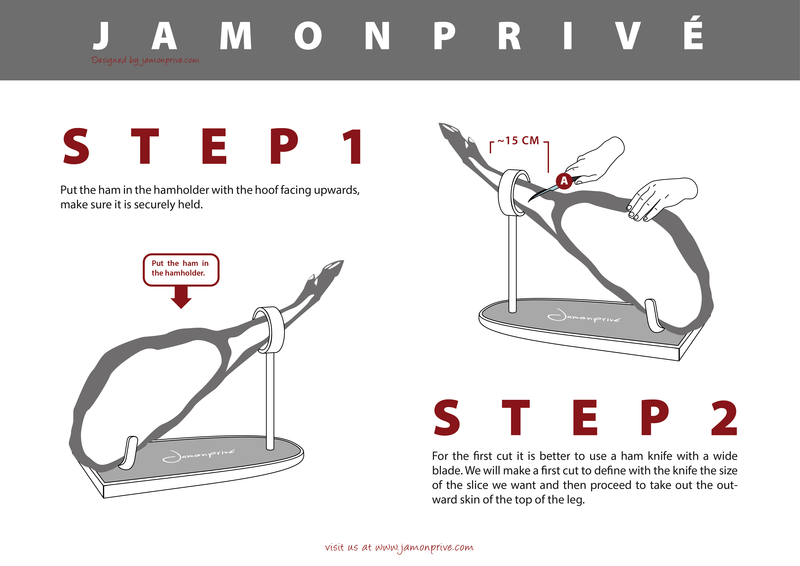 The hams have a round profile with a strong hip and elongated leg, usually weighing more than 7kg. Good hams of this type are slightly salty and sweet, with a bright pinkish color . - Seron Ham: Originates in Almería and was recently included in the IGP registration. Usually a large, high-fat ham. Good examples are saltier than the other types of Serrano ham, while still offering a smooth texture and a sweet predominant flavor. One aspect that stands out is the wide range of aromatic flavors and aromas found during tasting. These are the 'true' Serrano hams, but we must remember that many different hams are produced throughout the peninsula. For example, it would be a shame to neglect Avila ham, Murcia flat ham, the Pyrenees hams, Cañiza ham and many others. - Bodega: with a cure time between 9 and 12 months. - Reserva: (Reserve) a curing time between 12 and 14 months. - Gran reserva: (Grand Reserve) a curing time of more than 14 months. These are the best Spanish hams to be found in the market. The longer curing time allows hams to develop nuances of aroma and taste, and therefore guarantee of success.